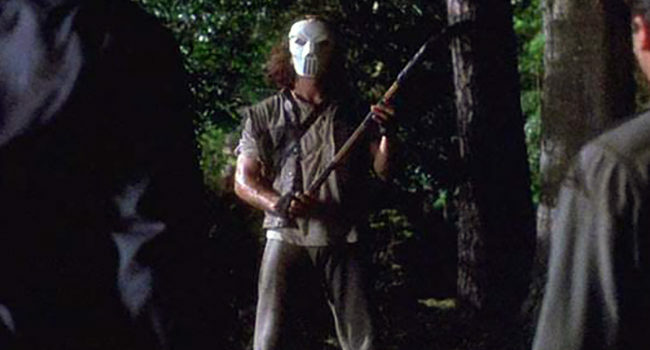 Casey Jones (Elias Koteas) was first introduced to the Teenage Mutant Ninja Turtles in an altercation with Raphael. The two of them actually fought each other in a New York City park, just after Raphael stopped some punk from stealing a woman’s purse and Casey was about to beat them to a pulp for that whereupon Casey turns his aggression on Raphael. The 1990 movie version dresses slightly differently from the late ’80s cartoon Casey Jones.